Storytellers spend so much time focusing on plot, characters, and setting, that it’s easy to forget those are just means to an end. For most storytellers, the primary goal is getting your audience to finish your story, think highly of it, and recommend it to others – in other words, things that make your story popular. But there’s a missing link between our story elements and the positive reception we want. What is it about our characters, plots, and settings that makes people like our stories? 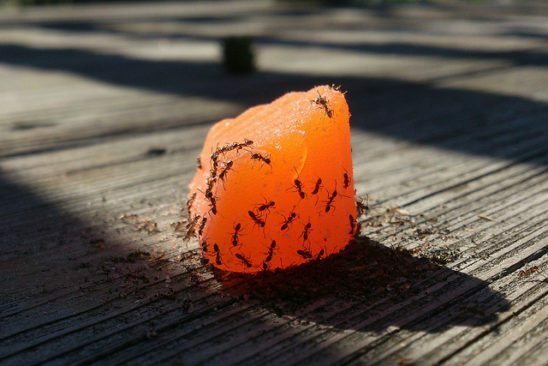 It’s ants. Lots and lots of ants. *cough* Sorry, I mean ANTS, my silly acronym for the effects that make a story well-liked: attachment, novelty, tension, and satisfaction. 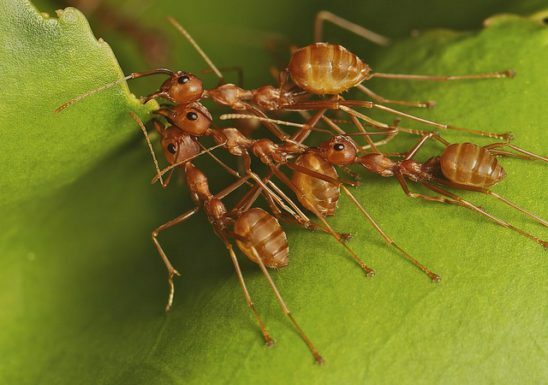 Thinking about your story in terms of its ANTS score will allow you to better assess your story’s strengths and weaknesses and to make informed trade-offs between one effect and another. 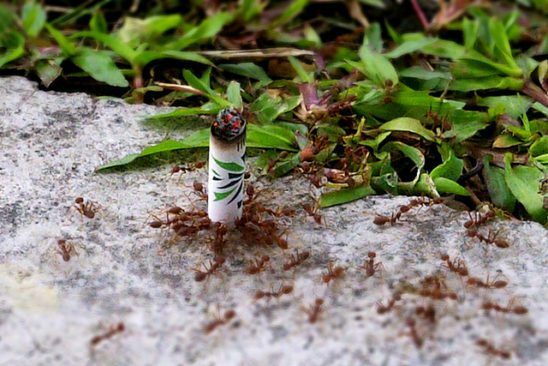 Now let’s count our ANTS. Attachment is the degree to which the audience cares about elements of the story. If attachment is high, the audience will want to see specific outcomes for story elements. They might want the protagonist to succeed, the antagonist to get their comeuppance, the lovebirds to hook up, or the pristine natural paradise to be preserved. Attachment adds emotional impact to story events, making the story more powerful. It also creates more investment in the story. With high attachment, the audience will suffer through spots they find unpleasant in order to reach the end. Looking for these phrases in reader feedback will help you measure attachment in your story. The primary source of attachment is the story’s protagonists, but not all protagonists are equal. It’s critical that the character is likable. They could be liked because they have highly likable traits or because the audience identifies with them. It’s also possible for the audience to become attached to places or other non-character elements, but even cute animals are unlikely to create attachment unless they have relatable traits like human characters have. Story elements that touch on the audience’s own emotional needs can create very strong attachment. This effect is usually known as wish fulfillment. Wish fulfillment is powerful. For instance, a well-implemented romance can use wish fulfillment to captivate the audience. However, it is most effective when it targets a specific demographic. People of the same age, race, or gender are more likely to have faced similar struggles, and they are more likely to have similar desires. Attachment doesn’t happen instantly. Generally, the audience must learn about or observe story elements before caring about them. This warm-up time is a significant burden on the beginning of stories. 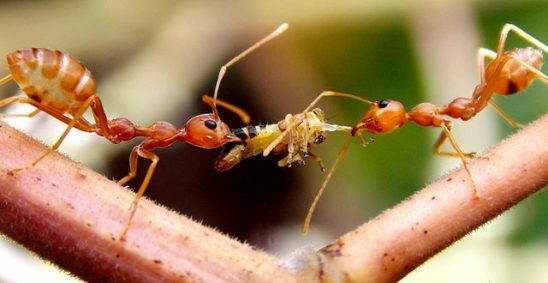 If the storyteller focuses on attachment in the beginning without using another ANTS effect, the story will usually feel slow. This often happens when the storyteller wants to describe the protagonist’s normal life before sending them off on an adventure. This period may foster attachment to the main character, but that’s not enough to retain interest in the story. As previously mentioned, the audience demographic can matter a great deal to attachment. Knowing your target demographic can help you achieve the popularity of works like Twilight, but this reduces the breadth of the story’s appeal. It also encourages publishers and studios to ban characters that are in minority groups, because they don’t think those characters will feel relatable to most audience members. Novelty is the degree to which the audience is fascinated by the details of the story. If the novelty is high, the audience will get a positive experience simply by absorbing the narrative and, in particular, learning about story elements. When implemented well, novelty can create strong impressions of humor, wonder, mystery, or threat. Novelty makes the story more entertaining and less boring. The novelty attached to specific story elements can also build attachment to those elements. Novelty can come from any component of the story. However, the speculative fiction genre and all its subgenres are built around novel settings. Whether your story is about futuristic space travel or magical golems, you are providing something the audience doesn’t get to see every day. What setting you choose and how well you show it off will make a big difference to your story’s popularity. In other genres, novelty is more likely to come from unusual characters. The plot can also provide novelty; the most common form of this is the subversion. Strong wordcraft is novel in itself. Regardless of where novelty comes from, it requires details that stand out. A novel idea that is stated briefly and is never fleshed out for the audience will be a disappointment. Novelty requires incorporating elements into your story that are rarely used. Sometimes they are rarely used for a reason. For some writers, having an animal companion that is secretly pulling the strings is a great novelty, but it isn’t done frequently because it reduces satisfaction. A powerful new technology or magical spell may be entertaining in one TV episode, but on a long-term basis it could reduce tension. Novelty encourages storytellers to trade in the long-term health of the story for short-term entertainment. This is because novelty never lasts. Once any idea matures, it loses all the novelty it had. Short stories are ideal vehicles for novelty because they usually end before the effect has disappeared, whereas novels will lose their novelty, strange as that sounds. For novelty to be maintained throughout a novel, new and fascinating elements must be continually introduced. In many longer stories, novelty is used heavily in the beginning and then takes a back seat to attachment. Tension is the degree to which the audience is riveted by the events of the story. If the tension is high, the audience will become urgently curious about how the story ends and highly engaged with everything that happens. Their attention is unlikely to stray from the story unless they are forced to focus it elsewhere. Tension makes the story more entertaining and less boring. High tension also increases investment in the story overall and motivates readers to keep going. Tension is created by the presence of problems, whether they are mysteries that need solving or obstacles that must be overcome. These unresolved elements create a sense of uncertainty that begs for a resolution, much like a bow pulled taut must be released. Of course, problems are not equal in their ability to create tension. First, the outcome of the issue has to matter to the audience. If attachment to story elements is too low or the problems have too little impact on those story elements, little tension results. The likelihood that a character will fail is also important. A high chance of failure creates more tension. If a success feels inevitable, no tension will result. It is also helpful to let characters solve parts of the problem or run into new barriers, changing the status of the issue they are dealing with. Creating problems and maintaining tension is one of the two primary purposes of plot. A good plot structure with high conflict will go a long way. In pursuit of tension, storytellers occasionally dig themselves into a hole they can’t climb out of. Increasing the chance of failure provides more tension, but if the problem becomes so difficult to solve that the solution is unbelievable, it will damage satisfaction. While raising the stakes of a problem usually increases tension, if raised too high, the audience will think the storyteller is bluffing. A story where a failure means the loss of the entire world may lose tension because no one believes the storyteller is willing to resolve the problem that way. The other issue with tension is that it usually relies on negative feelings. That’s fine for most audience members, but some people find problems too unpleasant for their taste. Storytellers occasionally avoid adding problems to their stories, and a small number of audience members prefer a slow work to a riveting one. Tension can be added to a story while keeping the mood light, but it is trickier and the tension is generally lower. For this reason, lighter stories require higher levels of novelty to compensate. Satisfaction is the degree to which the audience appreciates the outcomes of the story. If the satisfaction is high, the audience will get pleasure by watching elements of the story conclude. After the story is done, they will be left with thoughts and feelings they find valuable. Satisfaction makes the audience feel like the story as a whole was worth the time they invested. Moments of high satisfaction are very memorable to the audience. Satisfaction makes the audience feel positively toward the story and likely to recommend it to others. The biggest source of satisfaction is the resolution of the problems that were used to give the story tension. If tension is described as pulling a bow taut, satisfaction is releasing that bow. Generating high satisfaction is about carefully making promises to the audience and then fulfilling those promises well. If you have succeeded in creating high attachment, the audience will look forward to seeing the antagonist fall from grace or witnessing the lovebirds hook up. If you’ve created high tension, they’ll be eagerly awaiting the answer to the mystery or the solution to the problem. Meeting your audience’s expectations for story outcomes is not always easy. In general, you must ensure that your main character brings about the resolution through their virtues or vices and that the resolution thoroughly addresses the problems that were raised. Foreshadowing is critical to satisfaction. Without it, outcomes can feel bizarre or contrived. The sublime “clicked-together” feeling of a strong reveal is only possible with careful foreshadowing. Most obviously, by its nature, satisfaction resolves problems and lowers tension. That’s why the lion’s share of satisfaction is left for the end of the story. However, longer stories can benefit from resolving smaller problems and creating new ones throughout the story, thereby giving the audience small doses of satisfaction while maintaining tension. A great reveal creates enormous satisfaction. This has led many storytellers to pursue reveals even when it costs the story dearly. A common scenario is withholding information that is critical for building attachment, for the purpose of using it in a dramatic reveal that comes later. Because the lack of attachment is crucial but subtle and the reveal is obvious and iconic, the storyteller may think the trade-off is worth it, never knowing how much it has cost their work in popularity. Unless the story is only a couple paragraphs in size, satisfaction alone cannot carry it. Plucking all the ANTS from your beginning to build a giant hill at the end gives the audience little reason to reach that end. Since the ANTS system includes no measure of marketing expenditures, it cannot predict which books will be bestsellers. But any breakout hit is likely to have a high ANTS score among its target audience. * As an example, let’s peek in the ant farm that is Harry Potter and the Sorcerer’s Stone. Attachment: Rowling uses the way Harry is being mistreated by his aunt and uncle to generate early sympathy. As a blank character, Harry is very relatable to most audience members. His entry into magic school provides the book’s young audience with powerful wish fulfillment. Novelty: The Potterverse is incredibly novel. 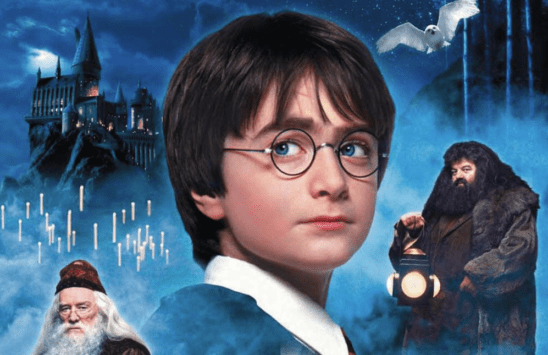 From moving paintings to every-flavored jelly beans to messenger owls, Rowling uses a wealth of details to entertain her audience while the plot is building. The Potterverse can keep readers interested even when they dislike Harry Potter himself. Tension: Rowling uses both personal conflicts between people at Hogwarts and larger, more threatening conflicts with villains to maintain tension. When tension at one level drops, the other picks ups. Whenever Rowling resolves a problem, she introduces another plot hook to restore tension. Satisfaction: Using a fractal plot structure, Rowling provides continual doses of satisfaction throughout the story. While Harry is working toward defeating the big bad of the novel and the series, he wins Quidditch games and gets positive validation from being famous. Rowling makes Harry unpopular with the other Gryffindor students before the climax so that she can reverse it at the end, providing a large dose of satisfaction. 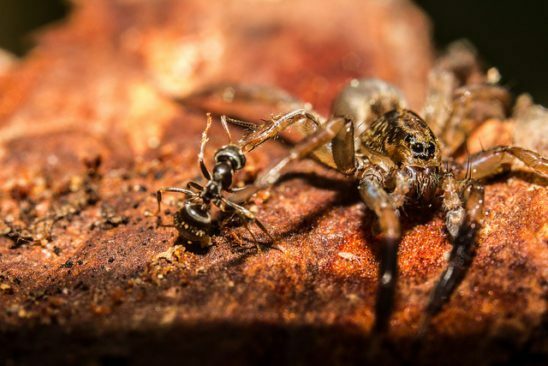 The most important lessons in ANTS is that each effect works best in concert with the others. While you may have to make trade-offs among them, that fun story is even better with some problems, that gripping story isn’t much without emotional depth, and those emotional yearnings beg for a later payoff. When you’re building that ant farm, make room for them all. Or another audience that is not its target, such as with Avatar: The Last Airbender. No, no, no! Your reader have to relate to your protagonist but they do NOT have to like him. Your protagonist can be the scum of the earth but if your readers can picture themselves in his shoes, your story will work. As Aristotle wrote long ago, your readers needs to sympathize with your protagonist’s plight; they have to sympathize with the injustice done to him. They don’t have to sympathize with him. Strive for distinctiveness, not uniqueness. You don’t have to be unique. Look at all the ways King Arthur has been redone. All you have to do is be distinct in your story. Tension: The best tension is created when the protagonist has confront a henchman or villain but has to keep a secret (which the audience knows) from them. For example, in the first Star Wars movie A New Hope, Luke decides to rescue Princess Leia. He tries to deceive the imperials by having Chewbacca pose as a prisoner. And later, when Hans charges the storm troopers in an attempt to bluff them into making them retreat. Tension is created because if the bad guys knew the truth, it would be a cake walk for them. Satisfaction: All stories are about injustice. Your protagonist is the personification of that injustice. Satisfaction is achieve when your protag gets justice. He may not win over the antagonist; he may not resolve his inner conflict. But he must achieve justice as perceived by the culture of your audience. Remember that the feedback examples given aren’t necessarily coming from writers. Even if they are, they seem to be emotional first responses rather than highly though out critiques. Just because you do not need a likable protagonist doesn’t mean that someone won’t respond to a lack of attachment by commenting that your protagonist was a terrible person. The implication with that comment is that they did not have other redeeming narrative qualities either.